The Creator of Justice serves up some fresh punishment for an unsuspecting Adrian. In short, it's pretty funny. It also marks the end of the "Dreams can come true" mini story arc with Josh that started with "Dream CLeaver." So if you missed any of them, be sure to visit the archives. 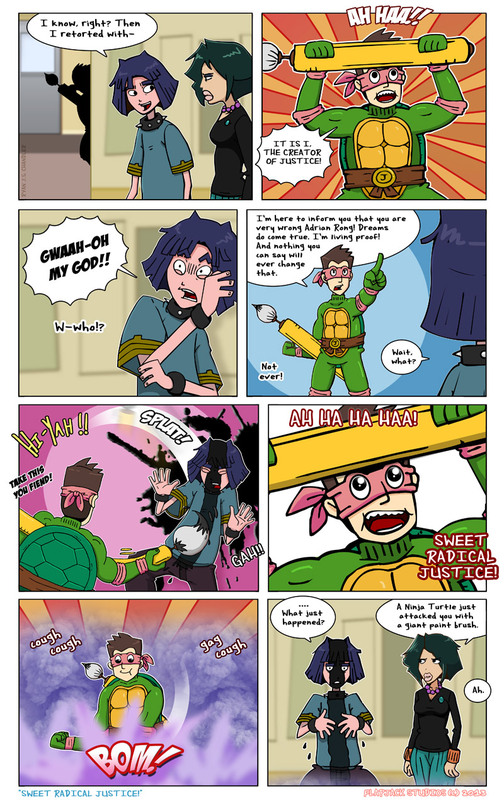 If you're all caught up, then please enjoy some "Sweet Radical Justice!"